Welcome to my free preschool printables section. Here you'll find easy coloring pages for preschoolers(and older kids too if they like!). They are listed in alphabetical order. Also, at the bottom of the page you will find a link to free lunch box notes, valentine cards and Christmas printables. In order to use these free printables you will need to have Adobe Reader installed(it's free). To the best of my knowledge, these coloring pages are public domain and royalty free. Enjoy! 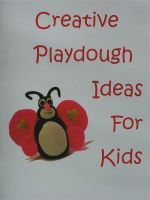 NEW!Visit our other website: www.discover-preschool-activities.com for lots of free preschool activities! Adult assistance and supervision required. Do you have lots of small bits and pieces of crayons around that nobody wants to use? This is a neat idea. Peel the paper off the crayon pieces and place the crayons in a muffin tin so that it is 1/3 filled. You can use all different colors of crayons. Put the muffin tin in the oven at 200 degrees Fahrenheit for about 10 minutes until the crayons are all melted. Remove from oven, let cool to harden and there you have some neat crayon cakes to color with. Below are some free printables I've created for your personal use and enjoyment. Lunch box notes are great to stick in your child's lunch bag as a nice surprise. I also hide them around the house for my children to find. Showcase your artistic talent on your very own personalized tableware that will last a lifetime. With this kit you can make high quality melamine plates and bowls or plastic mugs that feature your own artwork or favorite photograph! There is also a ceramic mug or sippy top option available. 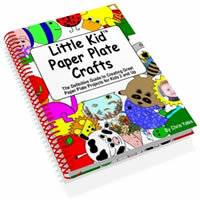 Create your masterpiece using the special drawing pages and washable markers provided. Mail in your work using the postage paid envelope provided, and in about a month you'll receive your finished work! You can even request your name, date, or special message be typeset around the rim of the plate, bowl or mug at no extra charge. Melamine and plates and bowls and plastic cups are break resistant and dishwasher safe (plastic and ceramic mugs are microwave safe as well). If you prefer to design your item by computer, you can enter the Creations By You website and use their special web tools to draw pictures or scan photos. Kit includes special drawing paper, washable markers, easy instructions, order form, and a postpaid envelope for sending material in for production. One plate, bowl or mug is included in the kit price, less a small shipping charge of $2.95. Production time is 5-7 weeks, plus delivery time. For Ages 5 and Up.